When you leave your business unprotected from potential flood damage, you may be surprised how hard it would be to get back normal. 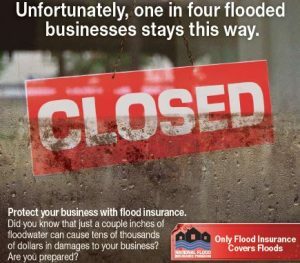 Lower flood risk with by insuring your business with commercial flood insurance coverage to protect your business from financial loss. 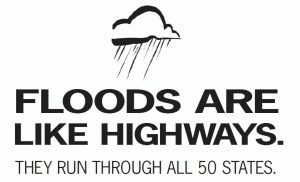 In fact on our of four businesses that have the unfortunate experience of damage by flooding never recover nor reopen for business. Average business flood claims are reaching $100,000 per claim. It makes great business sense to have a commercial flood insurance policy to make sure your business could continue for years to come. The location of your business is very important in determining your rate for the desired coverage that you need. The rates are based on Moderate to Low Risk or High Risk area. Regular business flood policies offer maximum building coverage of $500,000 and available contents coverage of up to $500,000 (Excess coverage, separate policy will cover more). You can also opt for Contents Only coverage, if you prefer. How are the commercial flood rate determined? FEMA certified and trained commercial flood insurance specialists.